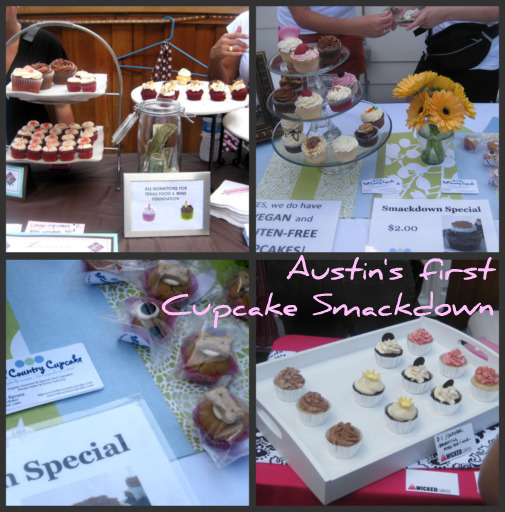 Last weekend, Jamie and I trolled Austin’s First Cupcake Smackdown at One 2 One bar on Fifth and Brazos. I don’t think the event planners predicted it to be such a success in turnout because the bar ended up being WAY too crowded and hot with cupcake vendors and the public which not only included regular old adults but kids and canines as well. 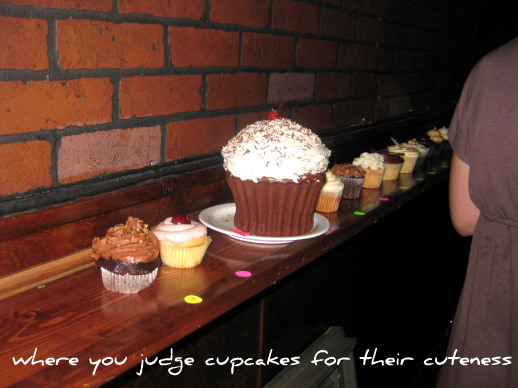 Upon walking in there’s a lineup of cupcakes strutting their stuff in the cupcake cuteness contest. Upstairs on the rooftop was where are the goodies were and where I ran into Peter Tsai, food blogger, photographer, and engineer (For serious!) who was also a judge at this event. I asked him what cupcake he recommended. 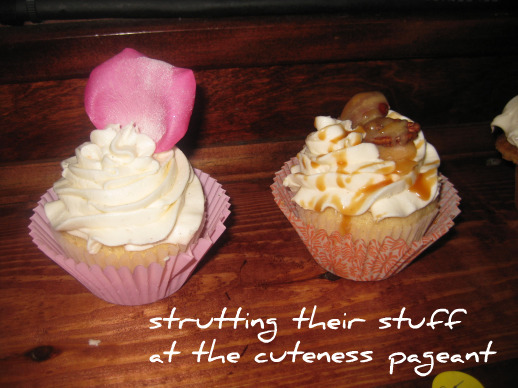 He pointed at the yellow cupcake from Wicked Cakes, a cupcake and cake catering company. He likened them to HEB cupcakes which prompted me add HEB cupcakes to my next HEB grocery list. I picked the chocolate with peanut butter cream icing. I don’t usually enjoy icing as most are just too starchy, thick, and too sweet for me but the peanut butter cream was light, fluffy, and HEAVENLY. I gobbled the whole thing up icing and all. It’s too bad they don’t have a storefront I can just buy a couple of cupcakes as I wish. 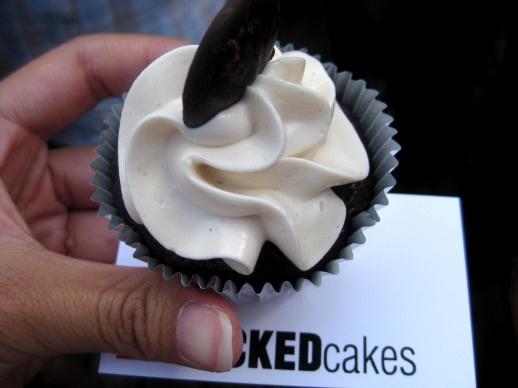 But definitely, if you’re having an event and want cupcakes catered, call Wicked and then invite me over. Jamie had the Margarita (taste like key lime) cupcake from Cupprimos. 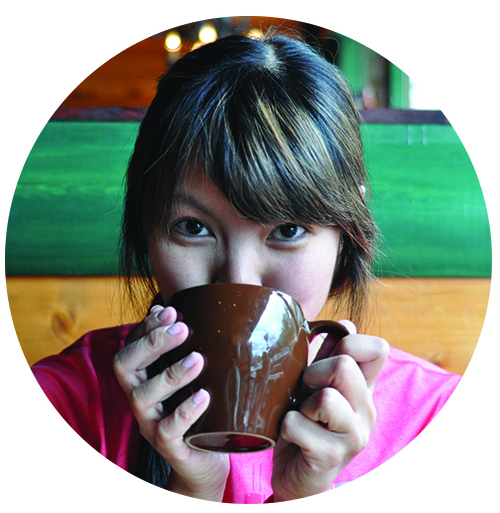 I had already tried Cupprimos last month with Alan so I steered clear. We didn’t want to ruin dinner later that night. We mingled a bit but then it got so unbearably crowded we just left and strolled around downtown. Maybe next year the venue will be bigger to accommodate the crowd. 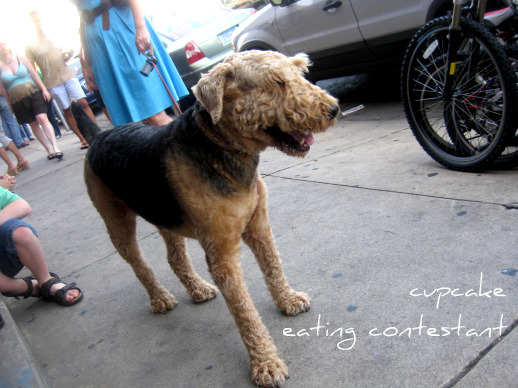 I loved seeing the dogs just chilling as they wait their turn for the doggy cupcake eating contest. I leave you with a photo of a cute one I saw. Read Peter Tsai’s blog/See his amazing pics from this event.